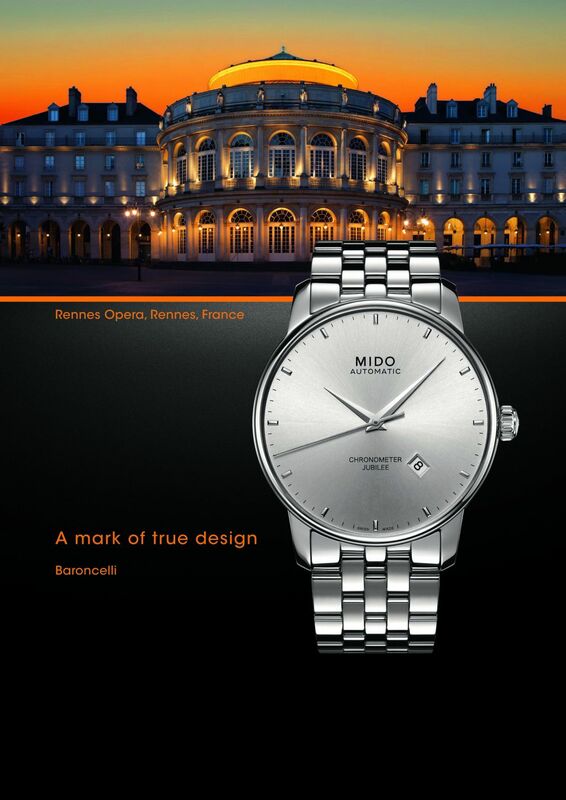 Harmony and elegance are the distinctive features of Rennes Opera House and the Baroncelli line of watches. Baroncelli Jubilee, the new model from the line, also inspired by the Rennes Opera House is more accurate timepiece as it is equipped with a COSC-certified automatic movement. 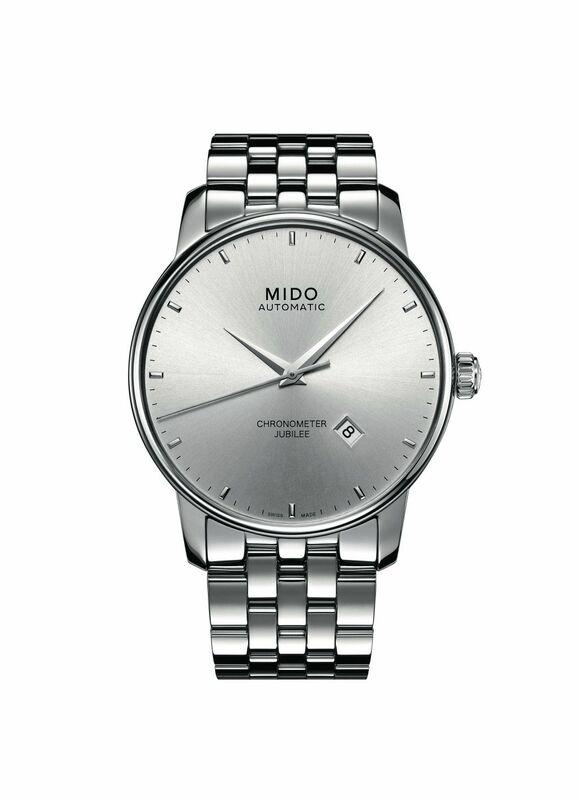 Its classic appeal is enhanced by an elegant silver dial with a sunray satinated finish. Water-resistant up to a pressure of 5 bar (50 m / 165 ft), it has a transparent case back through which its finely decorated movement can be admired. With a diameter of 42 mm, this timepiece is a stunning example of understated refinement. The dial has a silver sunray satinated finish that accentuates this model’s style and elegance. Applied indexes mark the hours, while the hands are bevelled and diamond polished. An anti-reflecting sapphire crystal treated on both sides makes it easy to tell the time, even at night. The Baroncelli Jubilee is mounted on a polished stainless steel bracelet. It is also available with a black dial and a black leather strap. Automatic ETA 2836-2 certified COSC Chronometer, 11½’’’, Ø25.60 mm, height: 5.05 mm, 25 jewels, 28,800 A/H, INCABLOC and NIVACOURBE shock-absorber, NIVAFLEX NM mainspring, ANACHRON balance spring, GLUCYDUR balance wheel. Finely decorated Chronometer movement with blued screws, decorated oscillating weight with Geneva stripes and engraved Mido logo. Function HMSD. Adjusted on 5 different positions for a high accuracy. Min. 38 hours power reserve. Stainless steel 316L, 3 pieces, sapphire crystal with an anti-reflecting treatment on both sides, transparent case back to see the finely decorated and Chronometer movement, engraved serial number, water-resistant up to a pressure of 5 bar (50 m / 165 ft). Stainless steel 316L with stainless steel folding clasp. Silver, sunray satinated, indexes individually applied, date at 4.30 o’clock. Hands: Diamond polished and bevelled.